Once you’re up and running, use our custom analytics dashboard to slice, dice and improve upon your campaign performance. By using an ever-evolving list of company and prospect attributes, we can build you for a prospect list that will uniquely match your ideal customer profile. This can be defined by such characteristics as title, industry, company size and location. From there we will build you the most comprehensive prospect profile possible. With your input and assistance we will create custom, channel-specific content designed to optimize conversion rates. 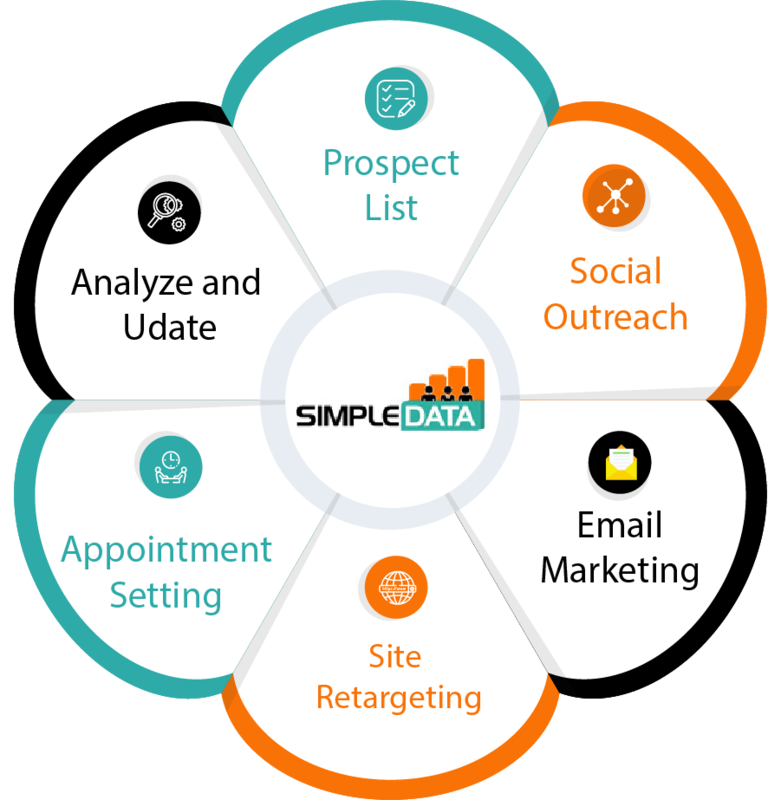 Additionally, to ensure the proper message cadence, the SimpleData campaign management platform allows you to create, run and manage your LinkedIn and email campaigns from a single interface. All campaign activities, eg, LinkedIn connection requests, email messages, SDR calls and ad impressions are tracked in stored in our data warehouse which enables you to continually analyze and optimize all campaign components. Please review the details below. If your needs fall outside of our offering, please don’t hesitate to reach out and allow us to create a custom solution for you. Do I need LinkedIn Sales Navigator? For us to build you a custom list of prospect profiles, you will not need a Sales Navigator account, but for our LinkedIn outreach campaigns, you will be required to have one. No, we can work with you on a month-to-month basis, but we do charge a one-time setup fee if you choose not to have at least a 3-month agreement. Additionally, we do provide annual pre-purchase discounts. Can I white label the SimpleData platform? Yes, for agencies and special accounts, we can create for a white labelled version of our platform. Can I integrate with other platforms? In order to streamline 3rd party integration, our platform is built completely on APIs. Additionally, we can integrate with Zapier, which opens up many, many more integration possibilities.